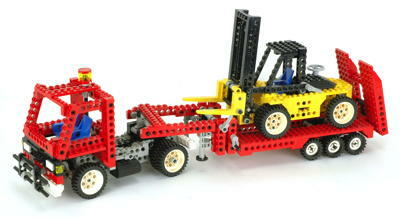 1993 was a transitional year for the LEGO® Technic line. Some pivotal new parts were introduced which did not get utilized to their fullest potential until subsequent years. 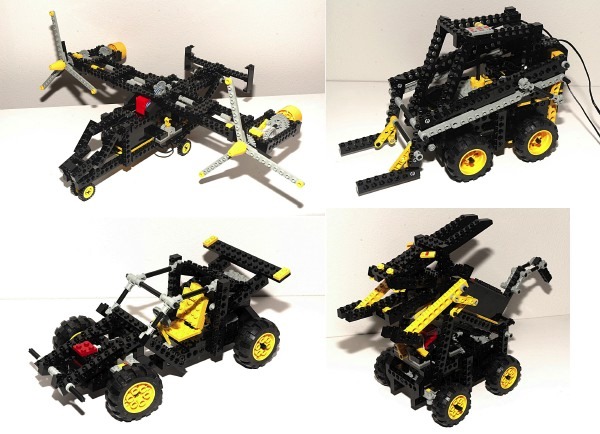 The 7 sets of 1993 varied widely in size from the smallest universal set of all to one of the largest Technic sets yet. There were 3 universal sets in total. 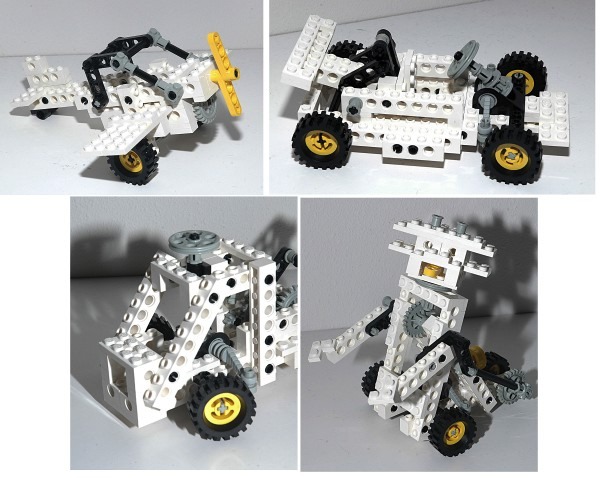 The smallest was an introduction to Technic in coveted white. The second was a pneumatic set. Finally, the third was a motorized set which utilized a pair of the new pole reversers to allow remote control of the models, and also used one of the new micro motors. 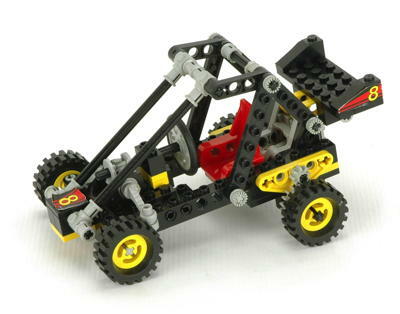 A small buggy had steering and a 1 cylinder engine. 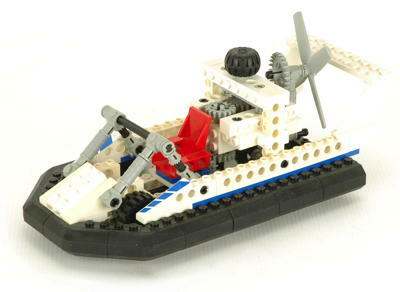 A hovercraft was introduced which was highly unique and contained parts never included in another Technic set before or since. 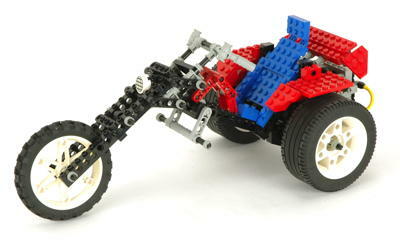 A large tricycle motorcycle contained a 4 cylinder engine and some massive new wheels. Last (and biggest) of all, there was a large tractor/trailer truck transporting a forklift which was basically three sets in one. There was also a supplemental set released this year which included 3 Technic figures. At this time the figure were still relatively rare and wouldn't become common until 1995. The new parts for 1993 were varied and important. The huge wheels and idler gear were a foreshadowing of things to come. The micro motor and pole reversers expanded on the 9V electrical system and opened up a myriad of new possibilities. The axle joiner and long pin would become staples of standard Technic construction for decades into the future. A new 3 spoked steering wheel was introduced which had a cruciform recess on the back. A new tiny 9V motor was first seen this year and occupies roughly the space of a 2x2 brick. The motor has very low power but is also geared down to turn very slowly without external gearing. This motor, while quite useful, was only ever used in a handful of sets. Along with the motor there are a pair of brackets which allow it to be attached to standard studded construction. There's also a friction pulley which attaches to the motor with a tiny rubber band allowing it to spin like a built-in clutch after a certain torque is reached. This motor is always red. The pole reverser is effectively a DC electric switch. The center axle can be rotated 360 degrees. At each 90 degree position, the switch is off (open). At each 45 degree position, the switch closes the circuit at a detent. Opposite directions reverse the polarity of the voltage, thus allowing the motor (or other attached electrical device) to reverse. The pole reverser can be turned either with an axle run through the center or with the new pole reverser handle. This handle fits into the top and stops at 45 degrees in either direction. One set of 2x2 studs serves as the input, while the opposite side is the output. It doesn't matter which is which since this unit simply opens and closes the circuit. A new long friction pin was introduced. This pin is 3L long with a stop 1L from one end. This allows a longer series of beams or other elements to be joined along a single axis without the protruding ends generated when using an axle with bushings. This part became very common in the future. Several new beams sizes were introduced. There were also a pair of 1x4 beams with protruding flanges. One is straight while the other is bent at 45 degrees. Both can be fit with a rubber bumper pad. 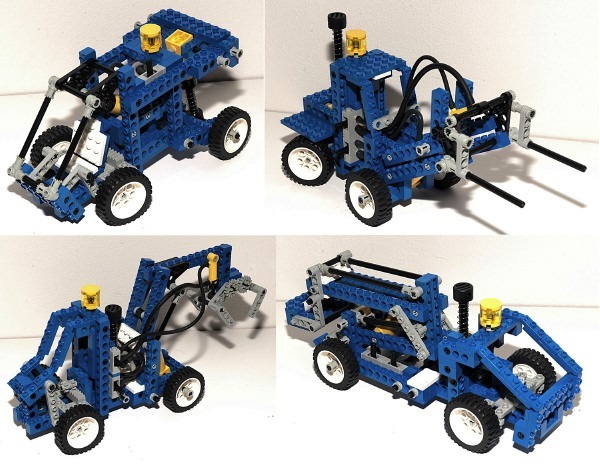 Oddly, all 4 of these parts appeared in Technic sets only in 1993, then never again. 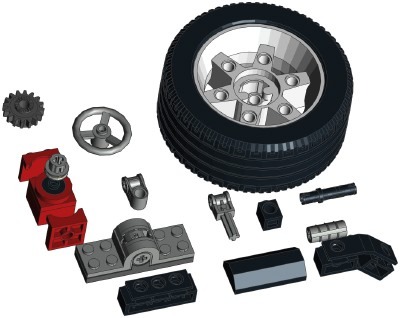 This wheel and tire combination would only ever appear in two sets.